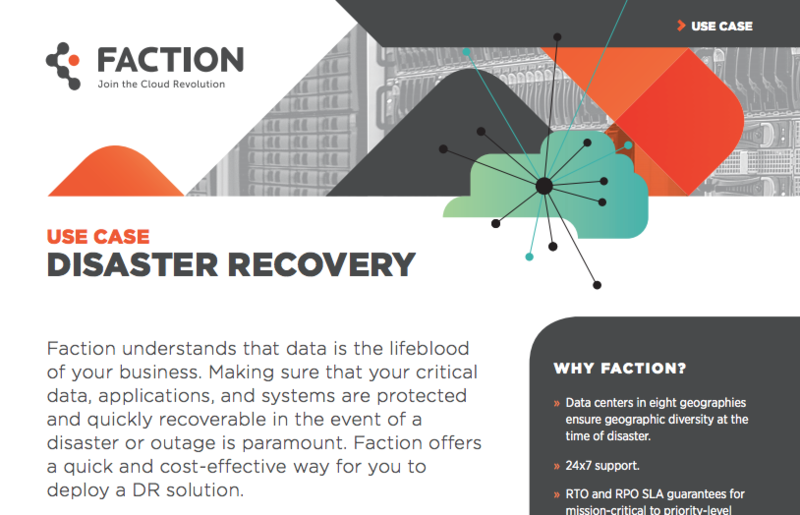 Disaster Recovery | Use Case | Faction Inc. Faction understands that data is the lifeblood of your business. Making sure that your critical data, applications, and systems are protected and quickly recoverable in the event of a disaster or outage is paramount. Faction offers a quick and cost-effective way for you to deploy a DR solution.